Each year in the United States there are an estimated 2 million eye injuries, with 30,000 of them being firearms-related injuries. These injuries can happen to anyone using a gun, from hunters to target shooters to tactical shooters alike. As gun use relies on clear, sharp vision this can be an end to any participation in one’s hobby or career. Though we like to think that we are always being safe, eye injuries are by their very nature difficult to avoid in the moment. Unburned powder flecks are a hazard for all gun users, while hunters are particularly susceptible to bits of flying rock or wood debris as well as scratches from trail brush. 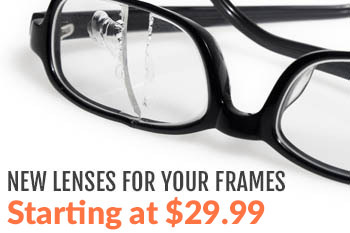 When searching for your next pair of shooting glasses, be sure to purchase glasses with wrap-around protection. This style of glasses curves around the face to provide lateral protection; traditional style glasses simply leave too much unprotected space around the edges that open you up to injury from non-direct impacts from, for example, a spent cartridge or target splash. Look for glasses that are explicitly wrap-around, but also be sure that they fit your face properly. Glasses that are too large or too small for a particular face can leave exposure just as regular glasses styles would. 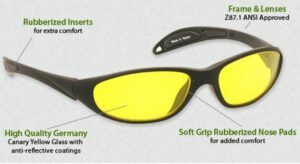 Many shooters think that wearing normal sun or prescription glasses is sufficient eye protection for their day-to-day use, and many point to past experiences where such eye-wear performed well enough to protect them. This is, of course, simply playing a dangerous game of chance. Simply put, regular glasses are insufficient. The materials they are made out of are prone to shatter upon impacts of a sufficient force, and as such they can wind up themselves causing serious injury. Impact-resistant lenses should always be purchased due to their far superior construction and testing. In the United States, impact rated protection must meet established metrics in order to be called impacted-resistant, facing a barrage of tests to determine their safety rating. 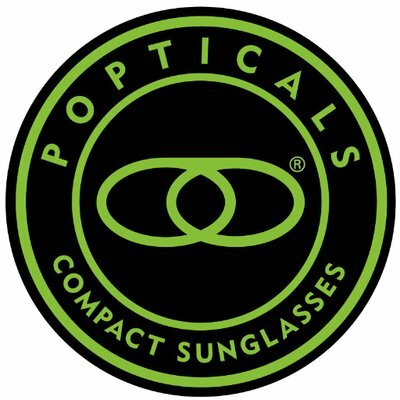 They are tested on 6 or more points for both high-mass and high-velocity impacts — heavy objects and objects at speed — which they must withstand without any part of the glasses breaking free and with the lenses staying in place and intact. The common materials used include polycarbonate and trivex, which are about equal in their durability and protection. If you are passionate about guns, you have a duty to take proper precautions for your health. That means using non-prescription or prescription shooting glasses whenever you are using a firearm. It is the only way to protect yourself against corneal abrasion, eye irritation, or in extreme cases a complete loss of vision. Additionally, every shooter has an imperative to make sure his comrades in arms are also being safe. If you see someone using insufficient eye protection, do your duty and talk to them about why proper eye safety is good for them and good for the sport. The fewer injuries that occur the more other people will find their way to the activity that so many of us are so passionate about. There is, of course, no government mandate that will force you to do so (and nor would we want one), but your own free choice should be to error on the side of safety. An eye injury can happen to anyone. Please contact us or visit our website rx-safety.com to learn more about what products can keep you safe from eye injury when using firearms or in the workplace.